Ross Barkley inevitably was the centre of attention as he inspired Everton to an eighth successive Premier League home win with a 3-1 victory over Burnley. The midfielder found himself at the centre of a media storm this week, from being allegedly punched on a night out to becoming inadvertently embroiled in the row which saw The Sun newspaper banned from the club after derogatory comments about him from columnist Kelvin McKenzie. He produced the perfect response by letting his football do the talking, scoring the important second goal - via two deflections off defenders - to make this current home winning streak the club's best since April 1990. Striker Romelu Lukaku tried to grab some of the glory with his ninth Goodison game with a goal, matching the record of the great Dixie Dean in 1934, late on but there was no doubt where the appreciation of the home fans was directed. The future of both players remains in doubt, with Lukaku refusing to sign a new contract and Barkley not committing himself to another, but on his evidence - for different reasons - Everton have to do their best to retain them. Phil Jagielka's close-range effort had given his side the lead just after half-time only for goalkeeper Joel Robles' rush of blood in needlessly conceding a penalty allowed Clarets striker Sam Vokes to equalise. But Barkley was the main man, heading off the line in either half, as he proved effective at either end of the pitch. Even a booking for climbing into the Gwladys Street end to celebrate his goal could not put a dampener on a day which ended with a standing ovation with his substitution a minute from time. Burnley, still looking for their first away win of the season, may feel hard done to as they dominated the first half and would have been ahead had it not been for Barkley's goalline clearance and Vokes shooting weakly after Jagielka's woefully-short backpass. 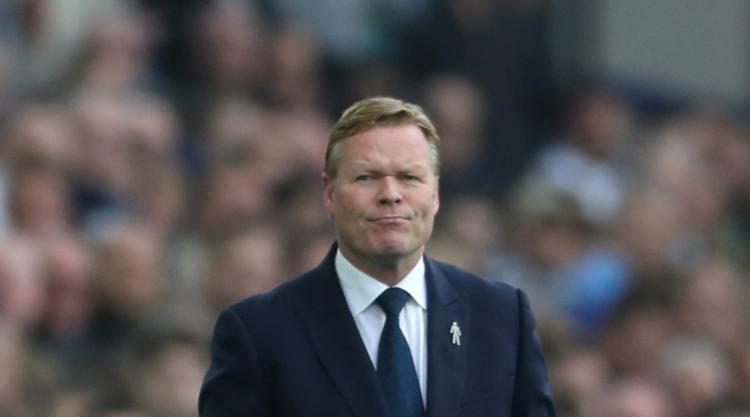 Everton manager Ronald Koeman made a tactical change at the break, sending on forward Enner Valencia for midfielder Idrissa Gana Gueye and within four minutes they were ahead. Jagielka's header could not be kept out by Tom Heaton but the centre-back, scoring in a third successive league match for the first time in a 539-game career, followed up to force home for good measure. But Burnley were level within three minutes when Robles inexplicably brought down Vokes as he ran away from goal towards the corner flag and the striker scored from the spot. Kevin Mirallas had two chances to put them ahead before Barkley took centre stage, jinking into the area and creating space for a shot which deflected off both centre-backs Michael Keane and Ben Mee before sneaking inside the far post. Lukaku made sure 15 minutes from time, turning Keane and poking in at the near post for his 24th league goal of the season, but for once the adulation was reserved for another.